We released three lovely new design themes earlier this year named Mountain, Pygmy & Graceful. The most popular of the new themes is Mountain with it's statement slideshow feature, larger category images and smaller header. With Mountains customisable fonts & colours you can create a look that encapsulates your brand prefectly. Pygmy's homepage image and translucent header, make for a statement yet simple appearance. Ideal for displaying your hi-resolution lifestyle shots to showcase the items on your website. Being the most image rich design theme we have, Graceful is brilliant for making a striking impact if you apply dark colours and bold fonts to it. Conversely it can still be made to look simplistic, with light colours and clean fonts added to it. 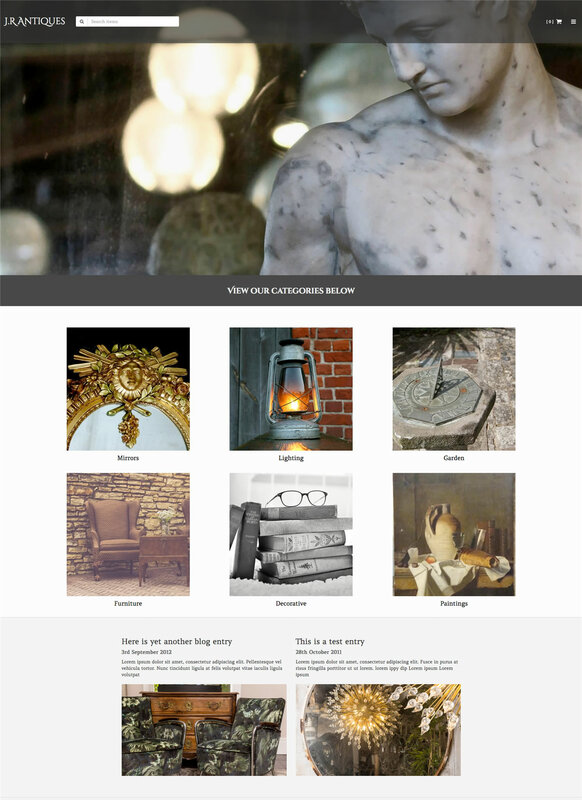 Our new themes are fully mobile and tablet responsive and you can customise them by changing the colour scheme, fonts, text sizes, content and images to make them unique to you. The design themes are very customisable ensuring that each one of our customers is able to make their website as unique as them and their business.